Rainbow Graduation Stole. This one-of-a-kind graduation stole is a keepsake that you'll cherish forever. Graduation stole is 30.5" long and made from brocade. 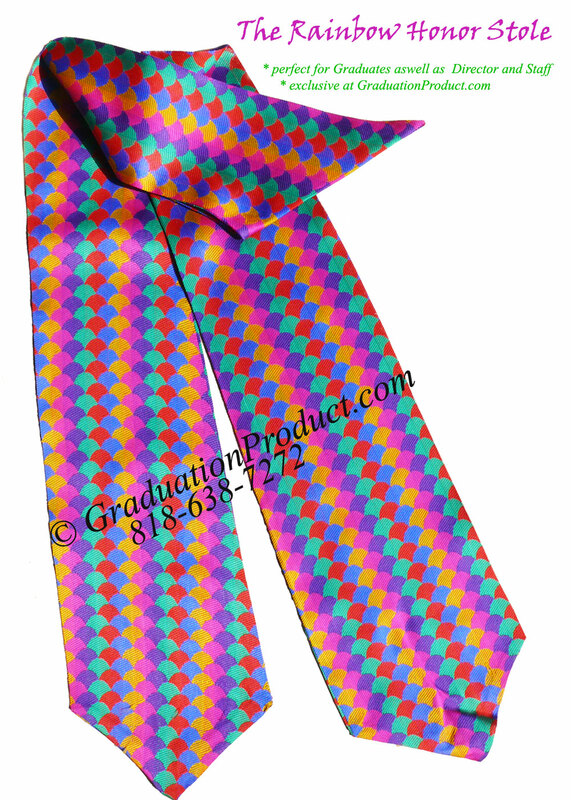 The amazing low price high school Rainbow graduation honor stoles are stylishly made from brocade and shaped to fit all body types. Fully lined throughout the high school royal graduation stole measures 31" long each side and 5.25" wide and has neat arrow pointed edges. Graduation Product is happy to offer the amazing discount high school graduation honor stoles to celebrate your graduates achievements. Check out the huge savings when ordering in bulk. Customer Reviews on "Rainbow Graduation Stole"
Write you own review on "Rainbow Graduation Stole"